Swing is a light-weight graphical user interface toolkit used to develop window-based applications. The java.swing package provide various classes for swing API. Follow, the basic structure of JOGL. 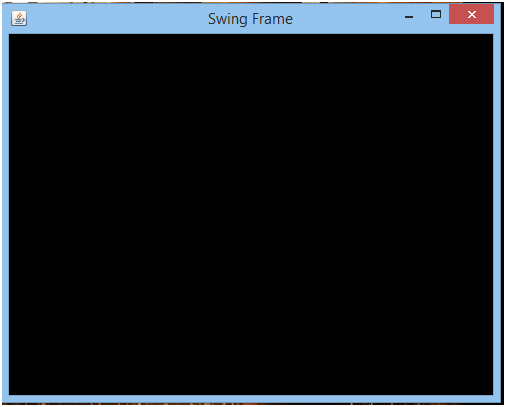 Create a frame using JFrame class of swing. Now, add the object of GLCanvas class with the JFrame class object using add() method. Provide the required dimensions within the setSize() method and make the frame visibility true. In this example, we will create a simple JOGL frame using swing.